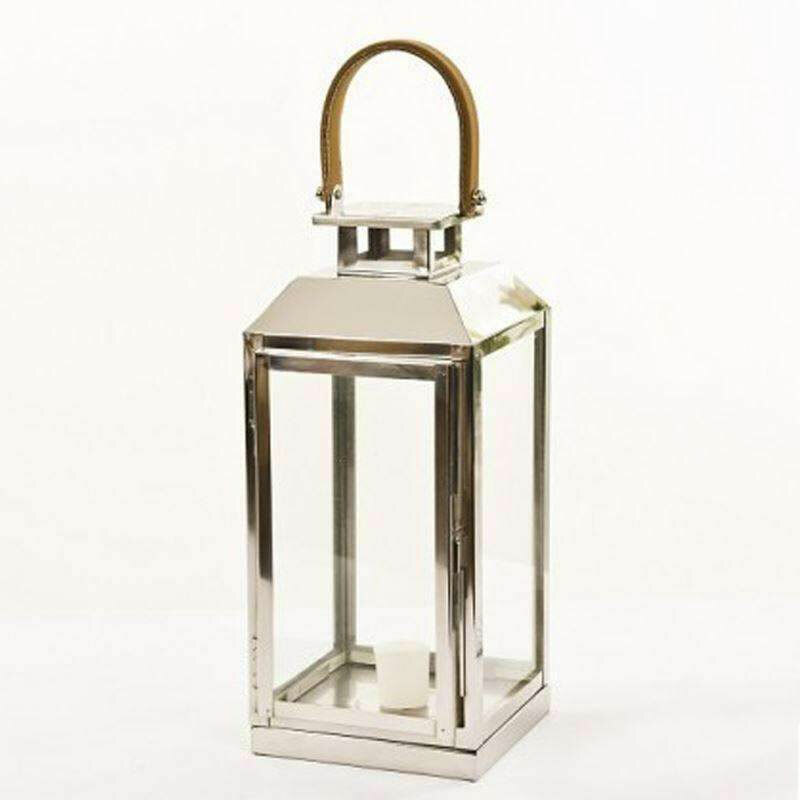 Stainless Steel Lantern with Leather Handle - VGGIFT | is a very good gift Supplier. 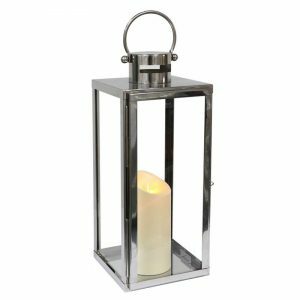 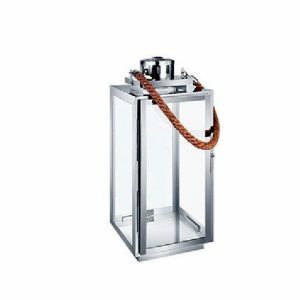 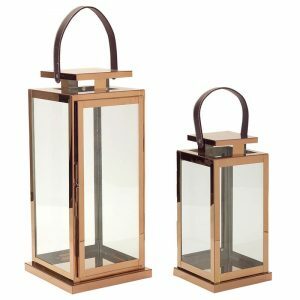 This beautiful square based stainless steel glass lantern by is a traditional style and comes with a high quality leather handle making it easy to move and adding a touch of classical style to the lantern’s design. This beautiful square based stainless steel glass lantern by is a traditional style and comes with a high quality leather handle making it easy to move and adding a touch of classical style to the lantern’s design. 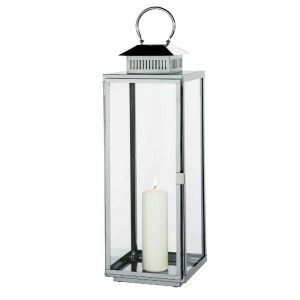 Decorate it with candles in this season’s colours standing on coloured decorative candle sand and place it inside or outside to create a cosy atmosphere.